Juan Carlos Vargas is interested in the relationship between intensive agricultural production and the emergence of leadership in the South American lowlands. 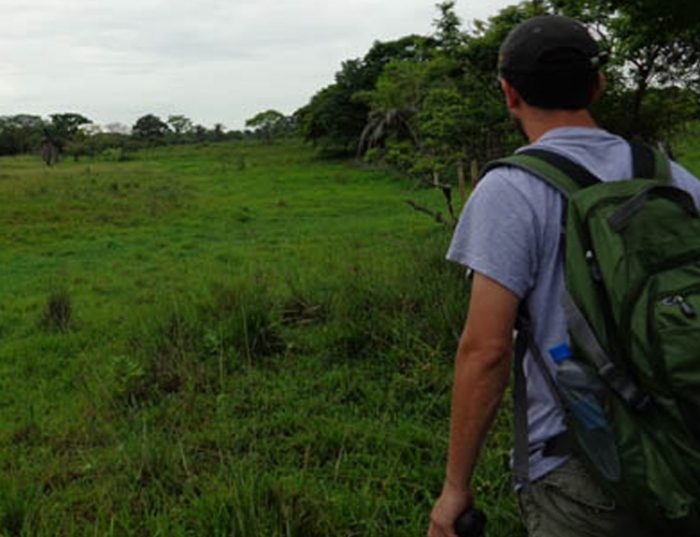 To pursue this issue he is carrying out a systematic regional settlement study of some 250 sq km in the municipality of Yopal in the Llanos of Casanare (Colombia) in order to compare the developmental trajectories of these early complex societies with those from the Llanos of Barinas (Venezuela). His aim is to advance understanding of just how these trajectories differed from each other, and how these differences emerged in two parts of the same broad environmental zone in the Orinoco basin. His research is supported by the National Science Foundation and will collaborate with the local Cataruben Foundation to help further its aims of environmental and heritage management and research. The project's results will comprise a heritage inventory for the survey area, which will aid in protecting these cultural resources. PhD 2017! Vargas Ruiz, Juan Carlos (2017) Complex Societies, Leadership Strategies and Agricultural Intensification in the Llanos of Casanare, Colombia. Doctoral Dissertation, University of Pittsburgh.